Kano is practically standing still as thousands of supporters of the People’s Democratic Party have converged on the Sani Abacha Stadium in the state capital to witness the presidential campaign rally of Alhaji Atiku Abubakar in Kano State. 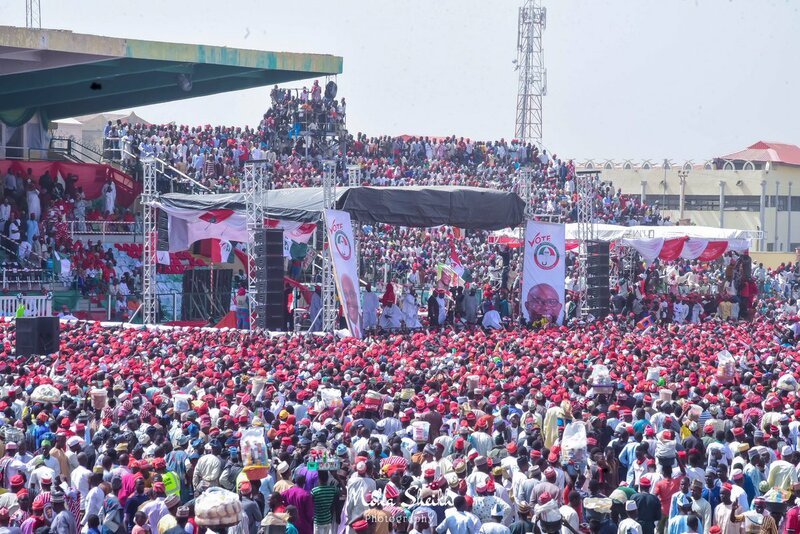 Atiku, who is the presidential candidate of the PDP, had few hours ago arrived at the Mallam Aminu Kano International Airport, Kano, in company of the Director-General of the PDP Presidential Campaign Council, Dr Bukola Saraki, amongst others. 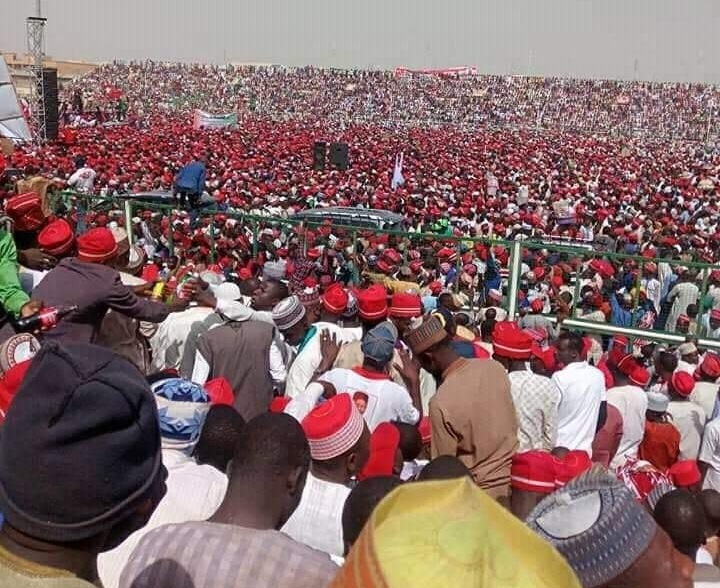 A mammoth crowed of the former Vice President’s supporters are seen within and outside the Sani Abacha Stadium venue of the presidential rally wearing the red cap which symbolizes the Kwankwasiyya Movement of Senator Rabi’u Musa Kwankwaso. 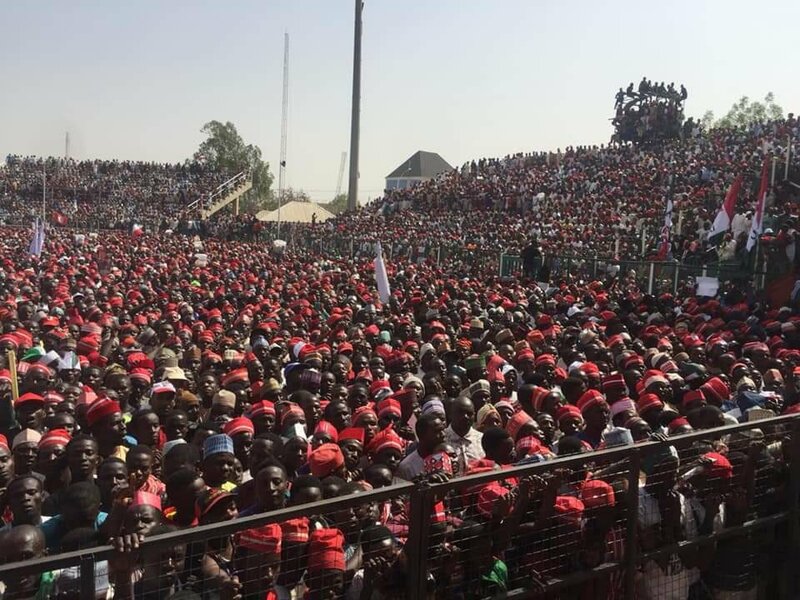 Although Atiku is yet to arrive at the stadium, the venue of the rally is already jam-packed with supporters who appear to be eager to receive him. 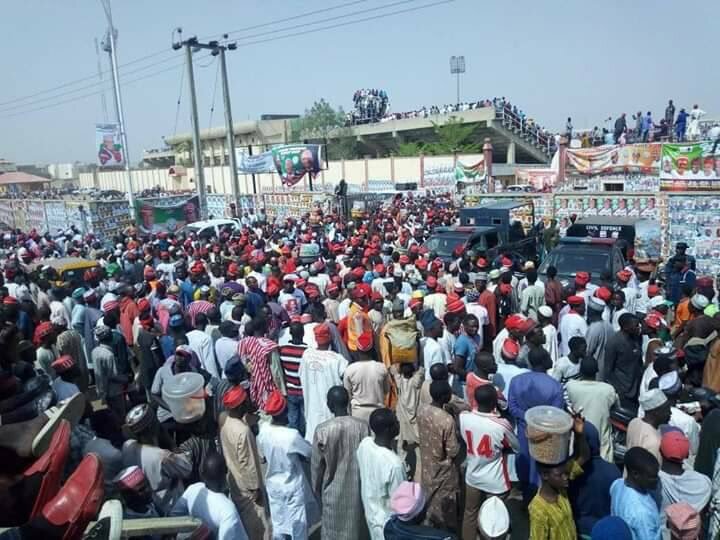 The PDP candidate will visit the palace of the Emir of Kano, Malam Muhammad Sanusi ll, and the Aminu Kano Center of Democractic Research and Training, Mambayya House, before proceeding to the venue of the rally. 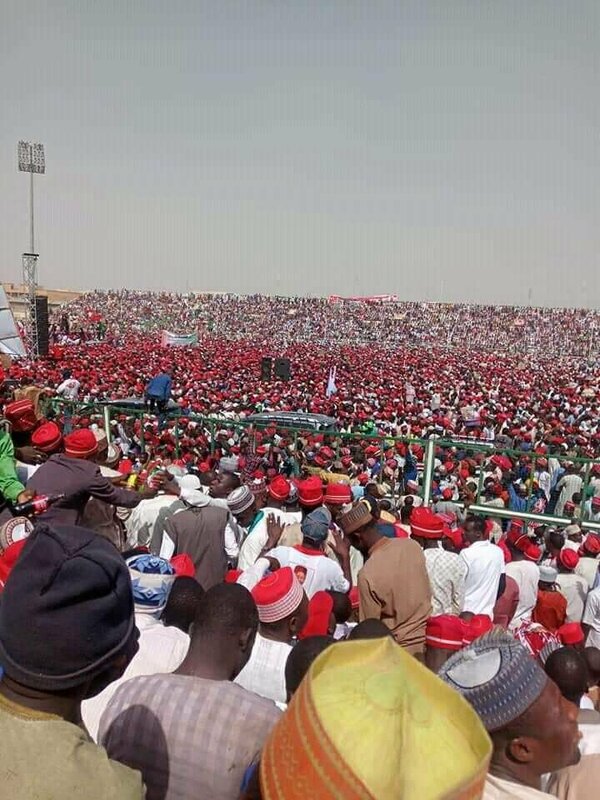 Bellow are tweets and photos from within and outside the venue of the PDP Kano rally. "Leadership models are contending and competing. It is important to understand that the kind of person you need to become a priest is not the kind of person you need to become a President "-Bishop Kukah. 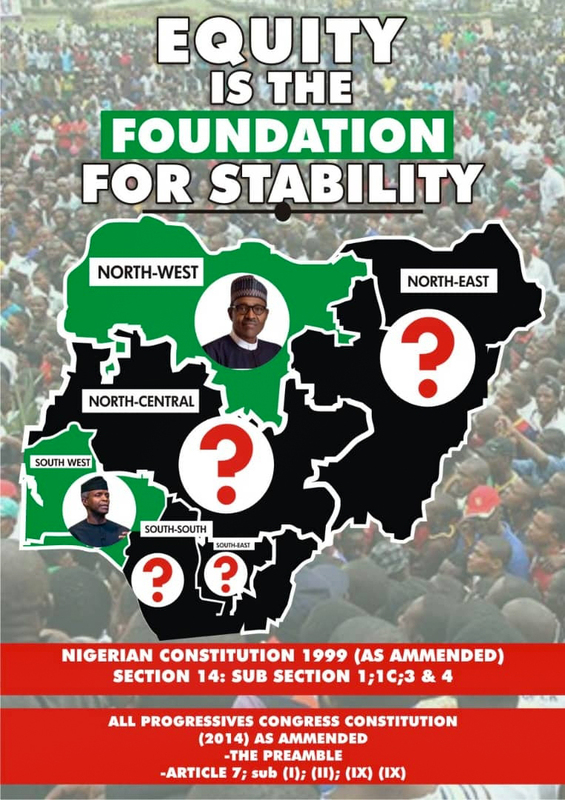 Las Las PDP wicked Sha. 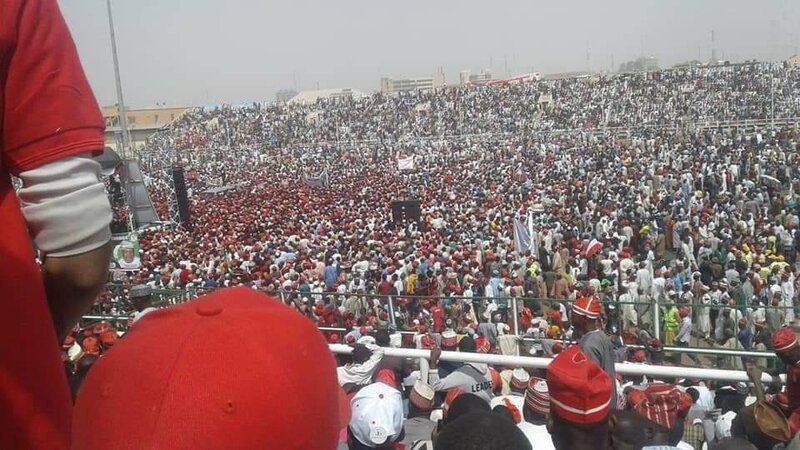 How can this crowd come out for you and your rival will still be having hopes of rigging?